Bear Glacier is one of the longest glaciers in the Kenai Fjords National Park. The Bear Glacier Tour is a 30-minute flight with one of the best pilots in Seward, Alaska. The Glacial ice descends in a long sweeping highway of ice to the sea and then ends at a large glacial vivid blue lake filled with icebergs up to 100 ft. High. The lake is separated from the Gulf of Alaska by a long beach where local surfers frolic, as much as frolicking is possible in heavy wetsuits and 50-degree water! The flight tour takes in the landscape all around Bear Glacier before working its way over the edge of the Harding Icefield. This tour lasts for about 45 minutes and takes you over Bear Glacier to the face of Aialik Glacier, a 600 ft. Dramatic wall of blue ice that frequently calves and splashes down into the ocean bay. Harbor seals lounge on chunks of ice below you. From there you will climb up over four thousand feet to the top of the Harding Icefield, a 40-mile expanse of age-old ice and snow that fills the high country like a dammed up reservoir of frigid wilderness solitude. Along the way, you'll see Pedersen Glacier and Exit Glacier and jagged ridgelines of the Kenai mountains. Here is the cream of the crop. This 1 hour tour includes everything the 45 minute tour offers with another extension south, past Pederson & Holgate Glacier, and then toward Northwestern Glacier, another quite active Tidewater Glacier. This tour includes more flying along the coastline to look for marine animals. You will be able to view the breath-taking Harding Icefield unlike anyone else on this adventure! 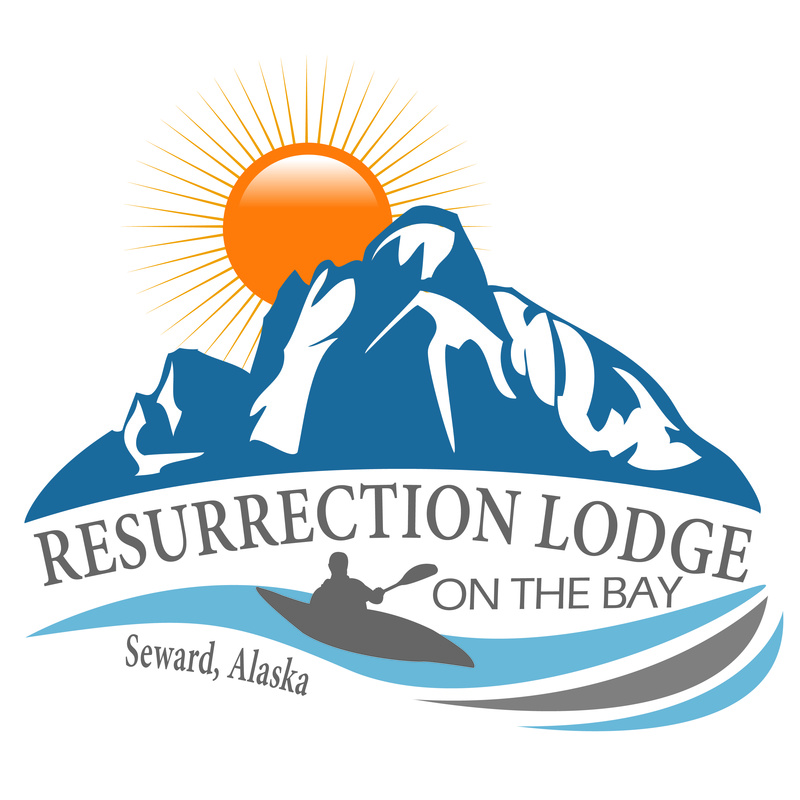 Your flightseeing tour takes off eastward from the Seward, Alaska Airport and heads across Resurrection Bay, over the ridge of Mt. Alice and into an area locally known as Unlikely Valley. We will soar above 4 Hanging Glaciers that continue to carve the valley below. After exploring the glaciers, we will pop over to Godwin Glacier and search for bears, goats and eagle along the way. This aerial tour features land and sea on your way to Bear Glacier. You will fly south over Resurrection Bay along the coast where you may see whales, otters, seals, and a variety of Alaskan Sea Life. Your pilot will make a turn into Bear Glacier Lagoon is filled with hundreds of icebergs, some the size of a grocery store! After exploring the lagoon, it's time to fly up Bear Glacier, the longest glacier of the Harding Icefield at over 10 miles long! After seeing crevasses and flying over a 2,000-foot-thick glacier, you will then travel through the Kenai Mountain Range. Here you will look for goats and bears! You will notice many additional Hanging glaciers in the valley that are all part of the largest icefield in the United States. After a bird's eye view of Exit Glacier, you will head back toward Seward by flying down the Resurrection River. The Wildlife Tour is an hour-long overflight of several glaciers and the Harding Icefield. Along the way, you will almost certainly see harbor seals on ice, mountain goats, and bears. Sometimes even whales. The hour trip gives time to scout the animals' locations and to circle them for pictures. You will see at least Bear Glacier, Aialik Glacier, Pedersen Glacier and Exit Glacier. Note that animal availability for viewing is subject to Mother Nature and not controllable by the pilot. The Northwestern Glacier Tour is an hour and a half trip that combines all the shorter tours and extends its reach into the fantastic basin of Harris Bay. This region looks like an enormous amphitheater of ice and snow with 5000 foot high walls lined with hanging glaciers. Plus the presence of Northwestern and Southwestern Glaciers. We fly into the basin at 1000 feet or less and fly along the massive vertical granite walls. You'll see beautiful beaches, vanishing remnants of melted glaciers, golf course like wilderness terrain and jagged peaks and ridgelines different and uniquely scenic from the rest of the Kenai Fjords National Park. The price is $389 per person, minimum two. This tour covers the most scenery and territory. We depart from the Seward airport and head east up the south fork of the Snow River to Nellie Juan Lake and then up to the Sergeant Icefield. Sliding down past massive Chenega Glacier we overfly the village of Chenega Bay which was relocated after the devastation of the 1964 earthquake. You'll see commercial fishing boats and hatcheries working one of the most productive fishing habitats on the planet. You'll hear about the intrigue and history of Montague Island and see the entrance to Prince William Sound, pathway of the endless arrivals of oil tankers headed for Valdez. Turning back to the west we'll cover the glaciers, fjords and Harding Icefield as featured in the other shorter tours. This tour lasts two hours and is the premium offering of AA Seward Air Tours, priced at $498 per person, minimum two.